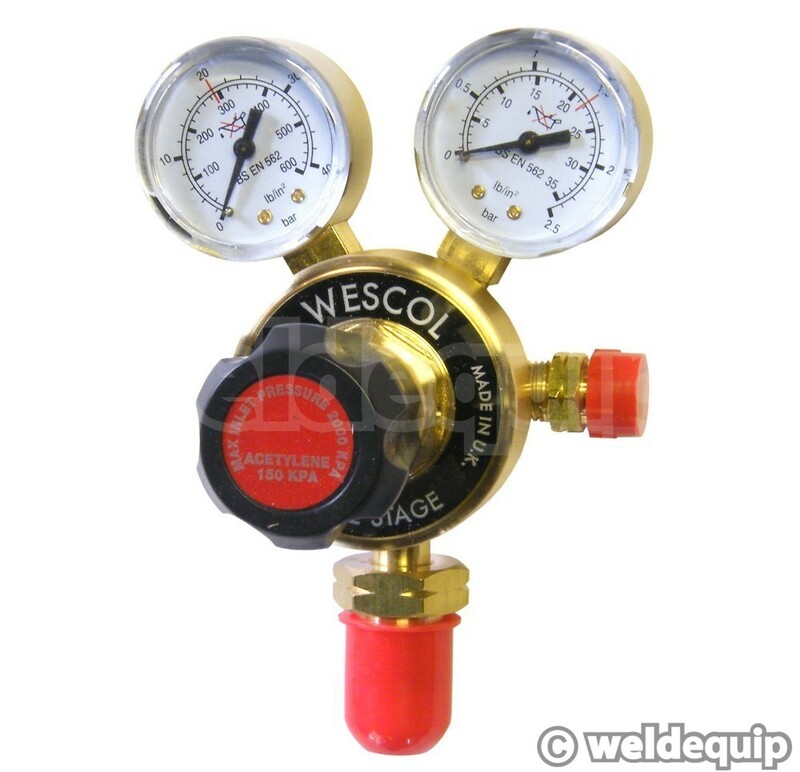 Premium quality British made Acetylene gas regulator. Individually date stamped to meet BCGA - British Compressed Gases Association - code of practice, which recommends Regulators be replaced every 5 years. Cylinder gases are stored under ever increasing high pressures and can be extremely dangerous, so the regulator needs to be up to the job. Some of the cheap, imported gas regulators on the market have been shown to catastrophically fail in laboratory safety tests. WESCOL have been manufacturing gas regulators in the UK for over half a century. These regulators meet, or exceed, all international safety standards, and are proven the world over.